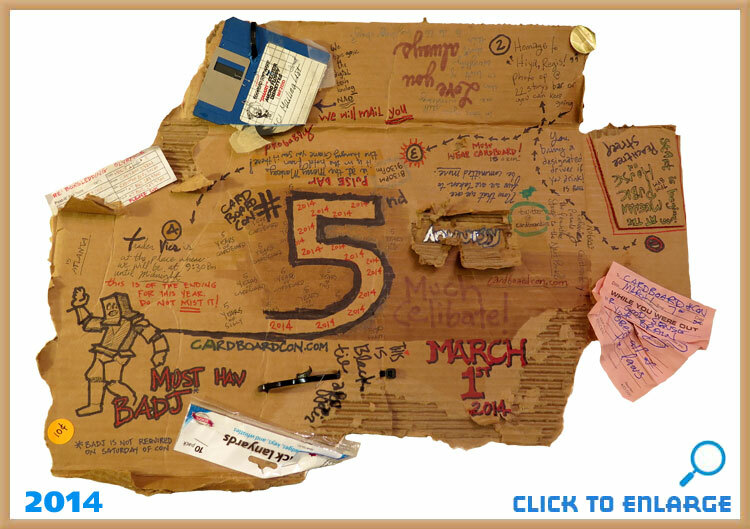 Cardboard*Con 5 will be on March 1st, 2014 - get ready!! Convention begin at Meehan's Pub at 7:00pm EST and be followed by parade. Operators standing by to take your orders for badjs. Badj art will be revealed very, very soons. Cardboard Captain Drew of the Cardboard Troopers here to tell you that we honestly forgot about our LJ Cardboard*Con group until just now, so those of you who aren't on Facebook: we apologize for the late warning. The bad news is that you have less than FIVE HOURS before Cardboard*Con 3 begins. The good news is that making a cardboard costume only takes FIVE MINUTES. Cardboard*Con 2012 - "It's a Go!!" 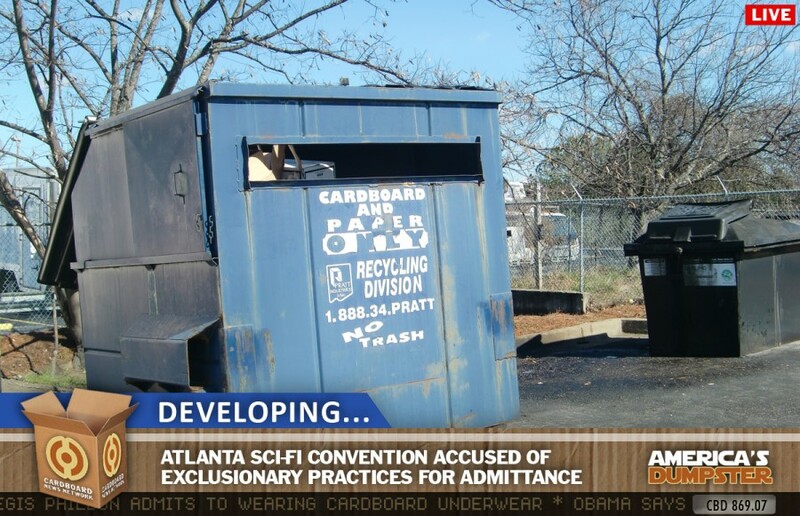 You've heard about the Cardboard*Con... right? Make no doubt about it: cardboard costuming is the retro wave of the future, and we want you to ride the wave with us! 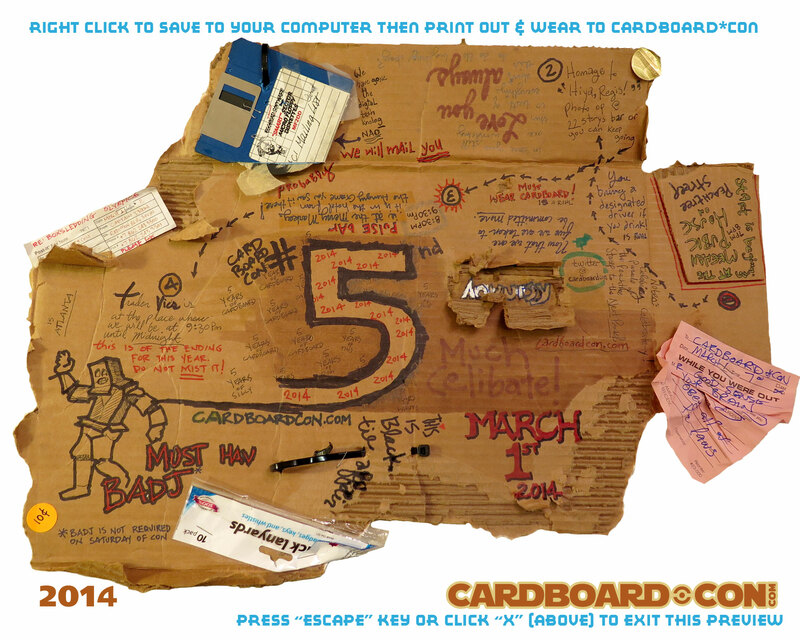 2012 will mark our THIRD ANNUAL Cardboard*Con and we want you to join us! Details to date: Cardboard*Con #3 will happen on Saturday, March 3, 2012!! Our LOLCATs webmaster keeps things up to date over at http://www.cardboardcon.com/ so check there every once in awhile, and be SURE to follow us on LJ's despised rival, Facebook. But don't worry, we loves our LJ too, so we'll be sure to keep some exclusive updates for you here, too. Here's video from last year's Cardboard*Con!!! captain_drew — Announcing our 2014 Badj!! captain_drew — Tonight We Ride Cardboard!!! captain_drew — Cardboard*Con 2012 - "It's a Go!!"